Boo for reading slumps. Hope it's over quick! Kelly, I'm not reading much either. Mostly work-related. I have a book going that I like but haven't had as much time to devote to it as I'd like. 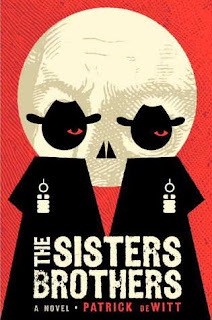 The Sisters Brothers has been staring at me from my piles. Maybe I'll try it next. I have been curious about The Sisters Brothers for a while, too. Just give it eight pages: if any book can bust through a reading slump, I think this is the one! **Buried in Print: Glad to hear it! **Samantha: It does sound really good. Thanks!